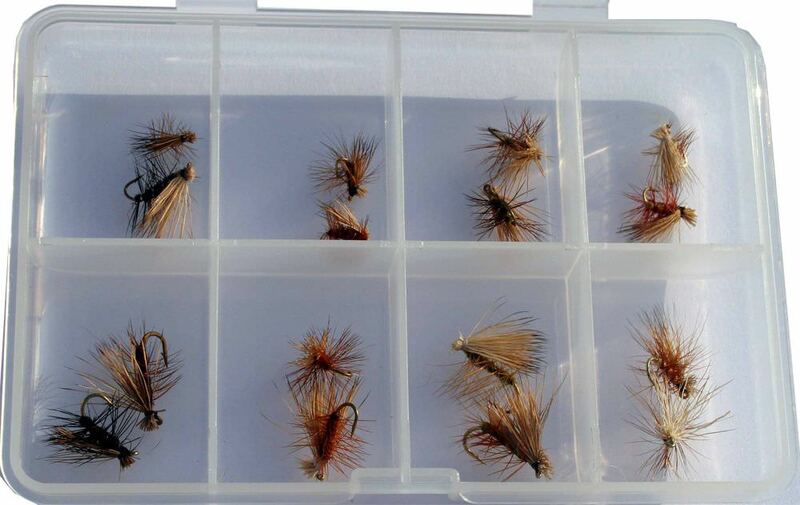 This selection contains 20 assorted caddis. Please note that the 8 compartment box is not included, and is shown for display purposes only. Flies well tied, as usual. I found them dark and hard to see.